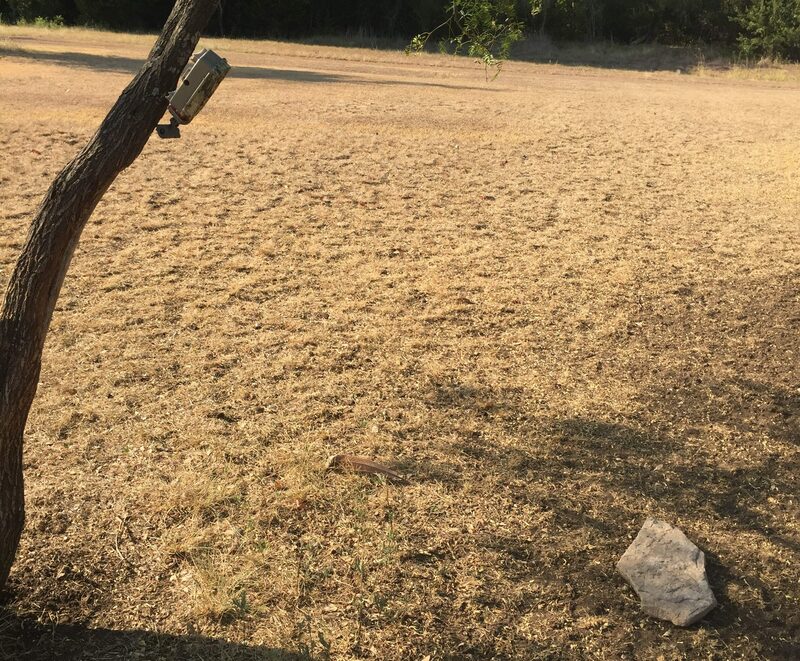 It’s Hot…it’s Real Hot…and Dry…in Texas. Water is short, and the natural forage is even shorter. What great time to field test a new product! The Feed Bandit social media efforts continue to pay dividends. Receiving a message from the fine folks at Rack Addiction Minerals (https://rackaddictionminerals.com/) field testing one of their mineral blends was very exciting and naturally, we put it to the test! 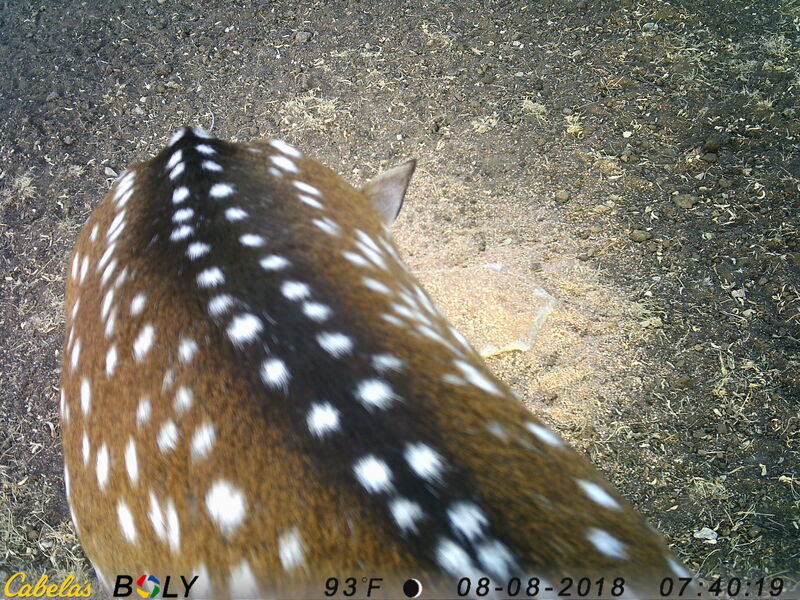 Rack Addiction Minerals had us seeing spots! 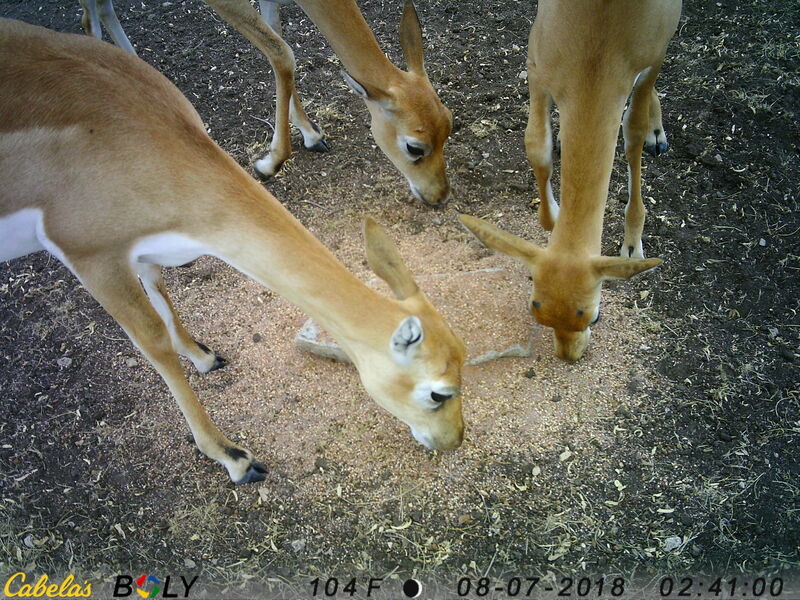 In speaking with the owner of Rack Addiction Minerals one of his main areas of interest was the attract-ability of the product for exotic game animals such as black buck antelope and axis deer. Well, it didn’t take long. The game animals of Rancho Bandido, especially the exotics, wiped out the mineral and very quickly! Now, I am not a marketing major but that logo is just down right awesome! But, a logo can only be as good as the product behind it…let the test begin. 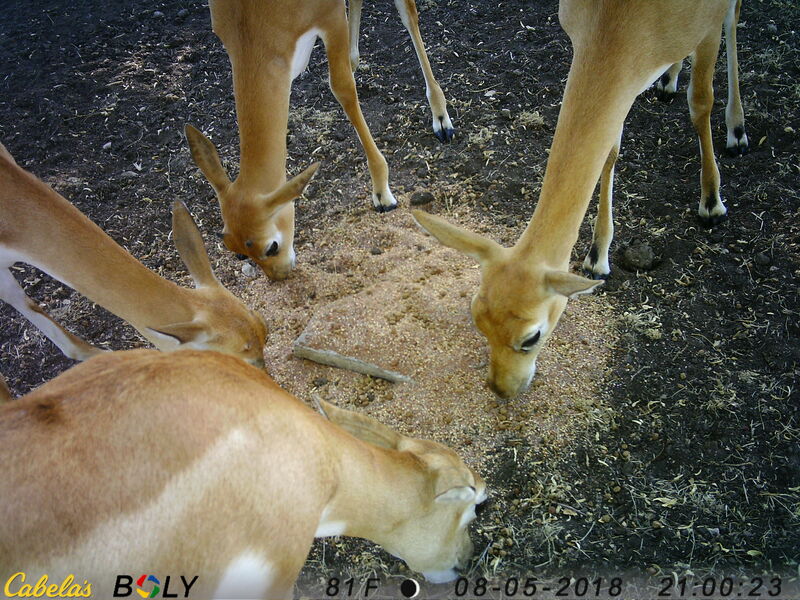 We wanted to try a new camera angle for this particular test to see just what all in the mineral blend the animals were consuming. So, we put a nice flat rock down and poured on the Rack Addiction Minerals blend! 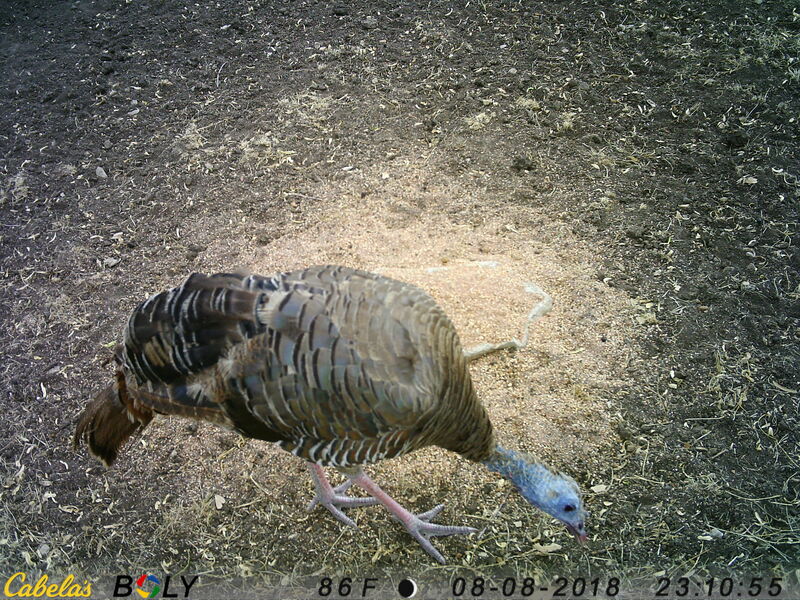 Our selected testing area was near a deer protein feeder that is frequented by our whitetail deer, axis deer, black buck antelope and turkeys. We wanted to see how it competes against normal game protein for animal customers. Well, we lucked out! 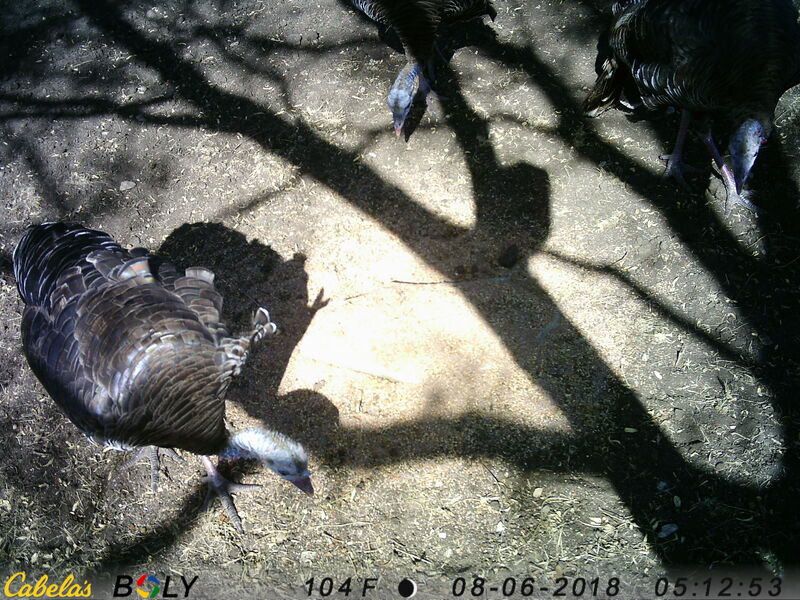 The camera angle was great and turkeys seemed to really enjoy the blend. 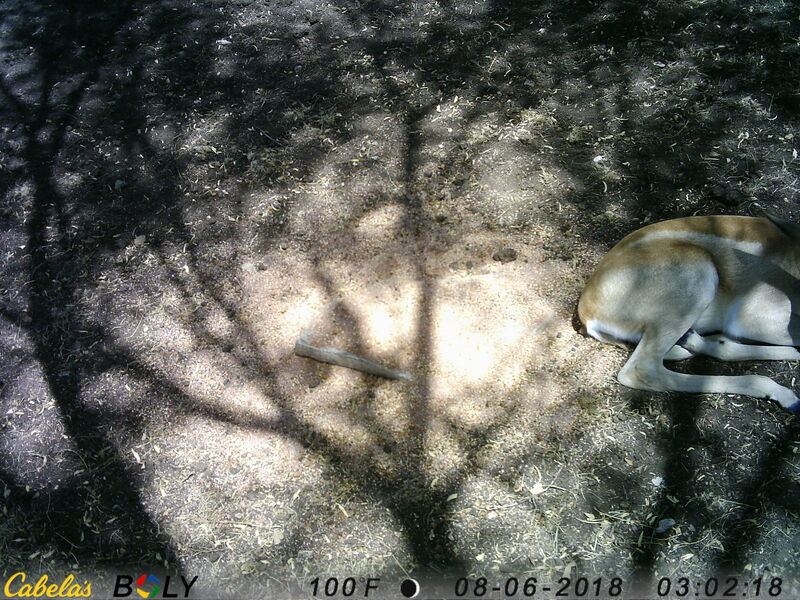 The black buck antelope really liked it as well. But how much is too much when it comes to liking something? 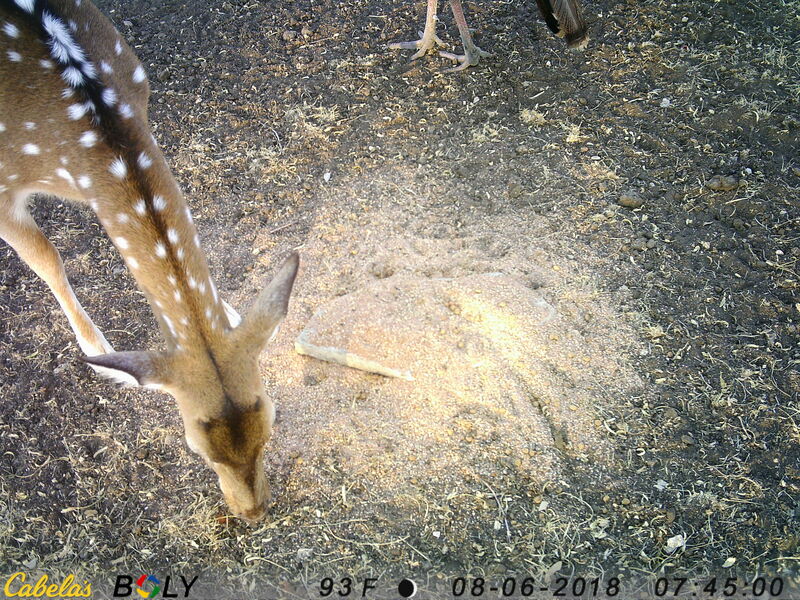 It seems Rack Addiction Minerals became the preferred meal over the normal protein feeder. Come on! Sitting on your meal? Might as well just hang out here, take a nap and rest till my next meal. I tell you what, I am going to try to sit in a bowl of queso and see what happens, ha! 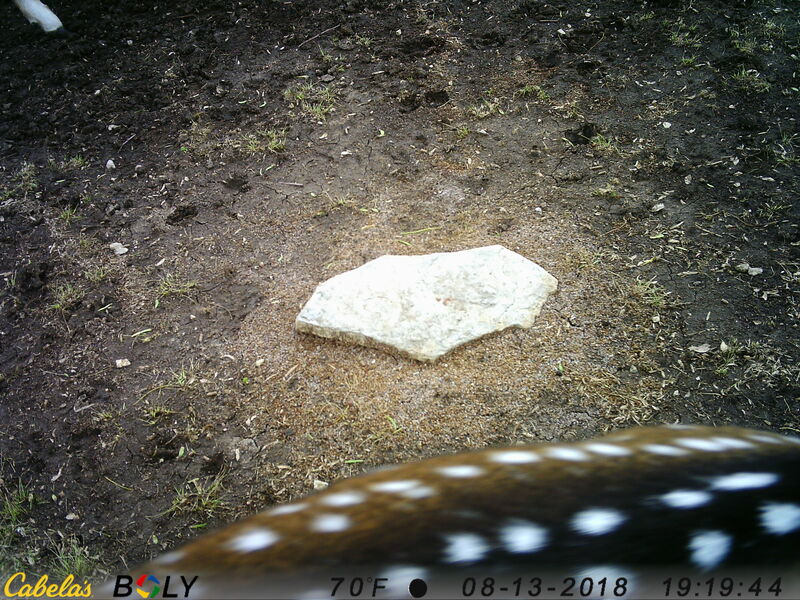 If you like, smile and say, “Mineral!” Nice pic, Madame Black buck. 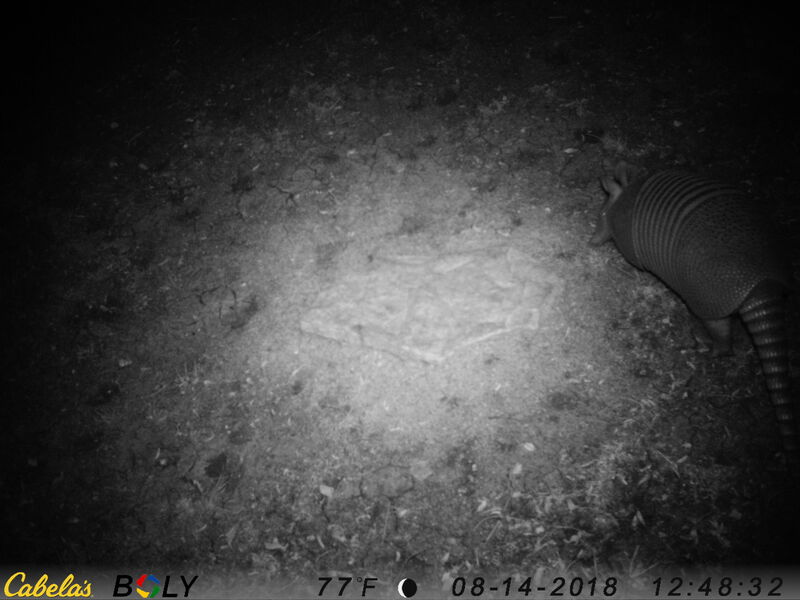 The axis deer were not shy either. 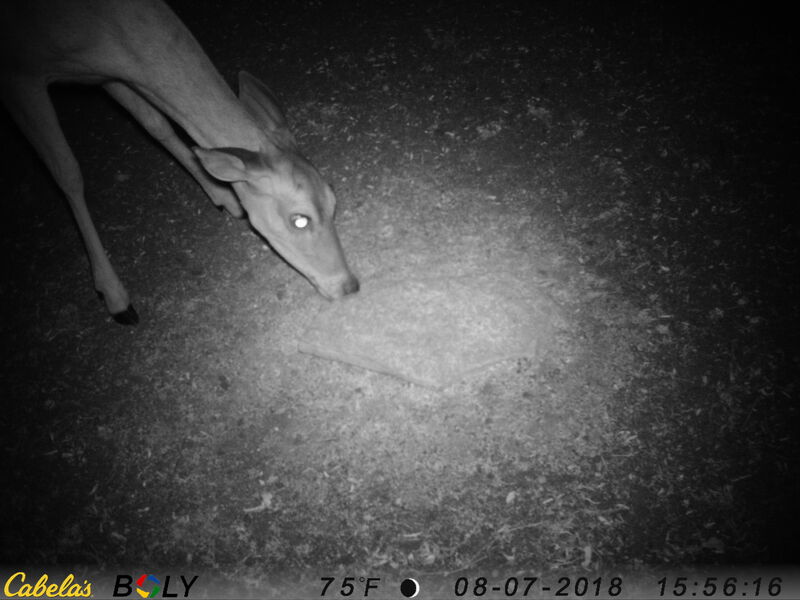 Now, the axis deer at the ranch have never been huge feeder deer. 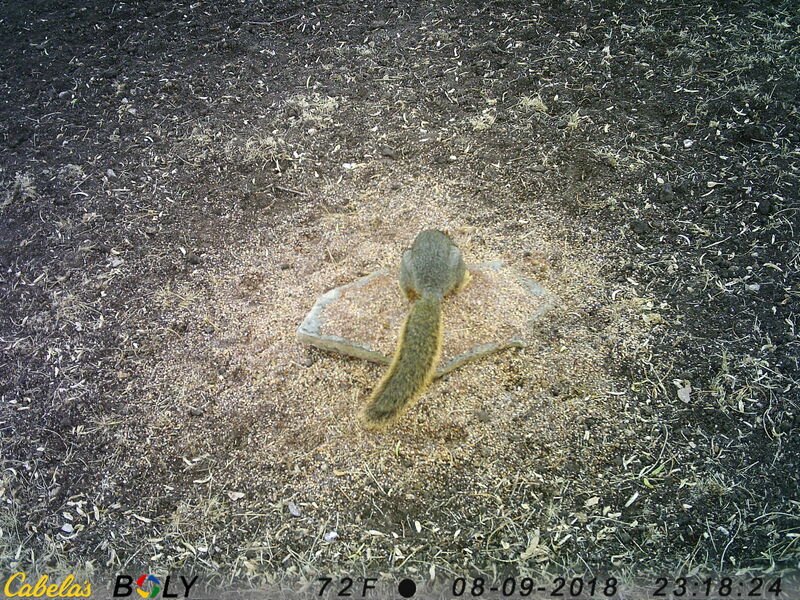 They will eat some protein pellets every now and then but never corn. 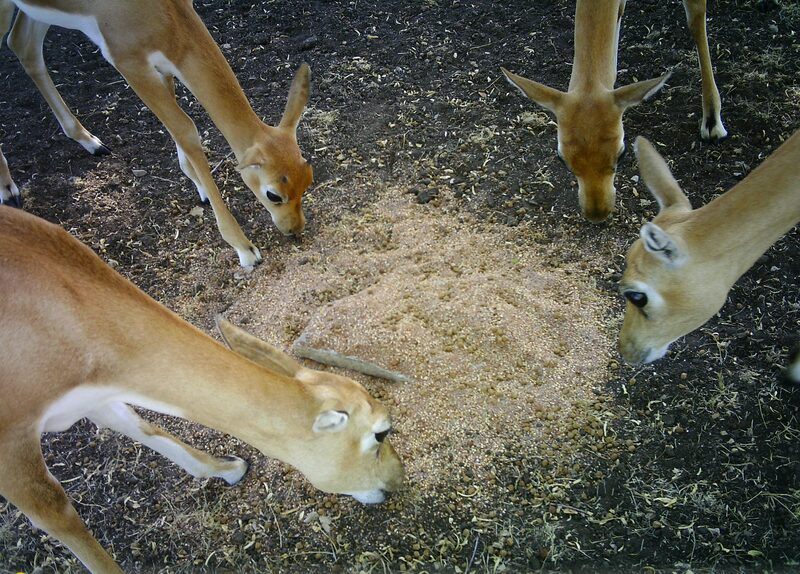 Yet again, we found a mineral mix that they really like! 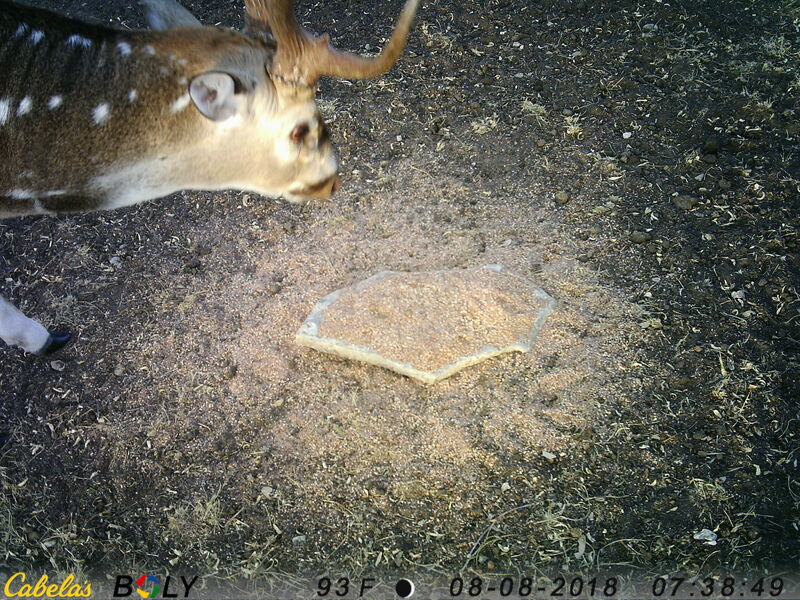 The native Texas animals were a fan of the Rack Addiction Minerals blend too. Included a Texas road hump. Well, it didn’t last long. 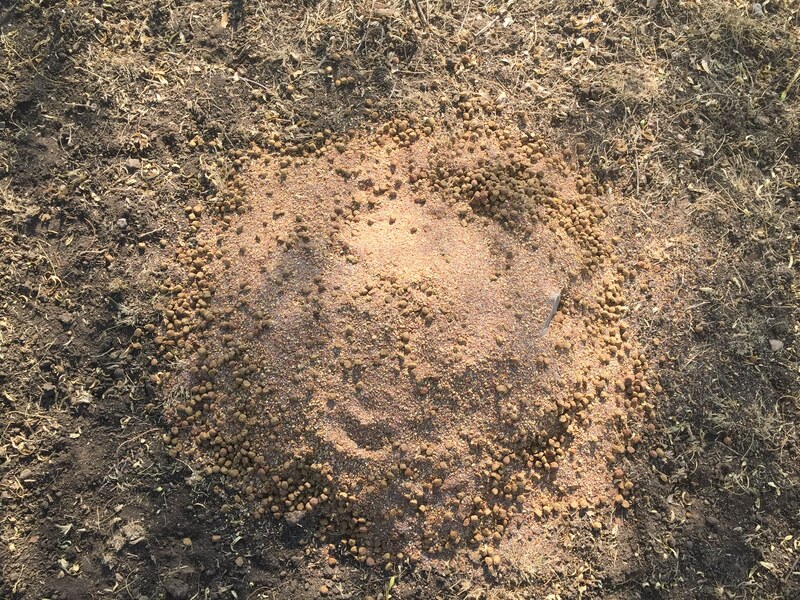 The miserable drought conditions have the animals gobbling up what they can when they can. 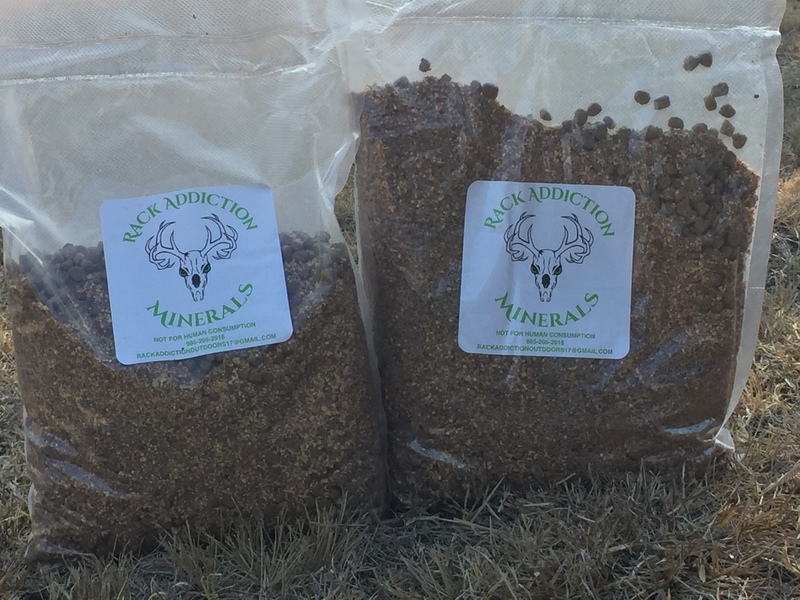 So to answer the Rack Addiction Minerals owner’s question, Yes, Texas exotics DO love Rack Addiction Mineral blend. Rancho Bandido and Feed Bandit give it 10 hoofs up! 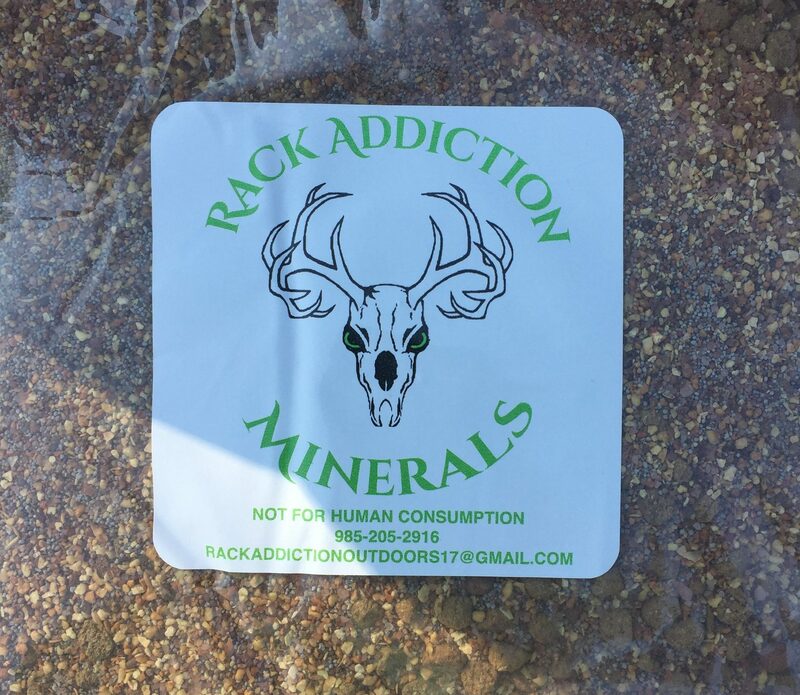 We’d like to extend a hardy thank you to Rack Addiction Minerals for allowing us to test their product at our ranch. Our animals are still plenty hungry so if you are a feed dealer or manufacturer and you’d like us to test your feed please let us know! 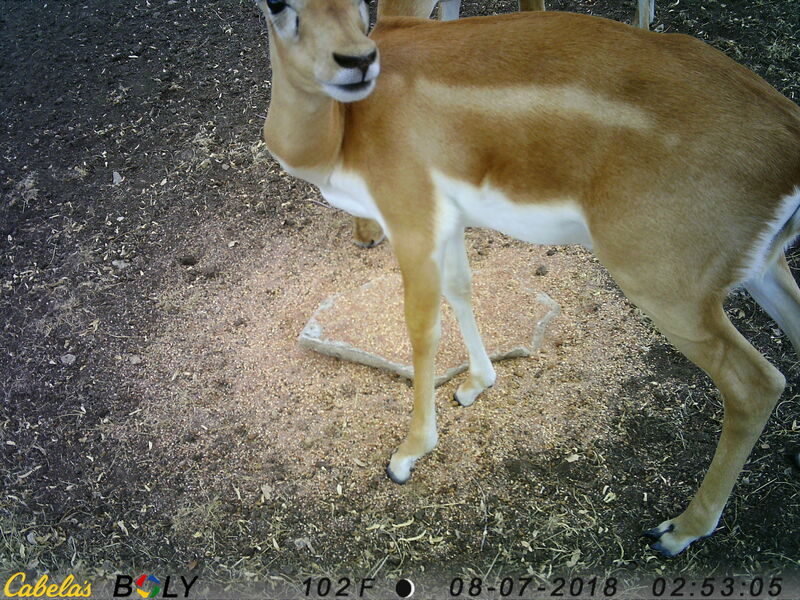 The Feed Bandit ranch, Rancho Bandido, is an outstanding place to test hunting gear and various wild game feed types on not only native Texas animals such as the whitetail deer and Rio Grande turkey but also on exotic game such as the black buck antelope and axis deer. If you’d like us to review your product, let us know!